oh wow, this is beautiful! i’ve not shot with my holga in awhile :P need to go use it again soon..
very nice. i just got a holga. i haven’t finished the roll i’ve got in it yet, but hopefully things will come out right. i’m still trying to get the hang of putting the film on the spool. should i cover the little red window on the camera back? 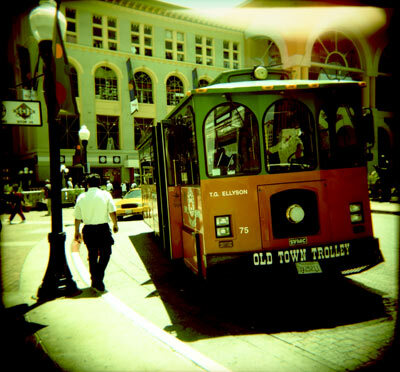 great holga picture! the light leak isn’t even distracting. keep it up. Excellent! And woohoo for the Holga. Was this cross processed?